Here at BVC we understand that technology is constantly changing. 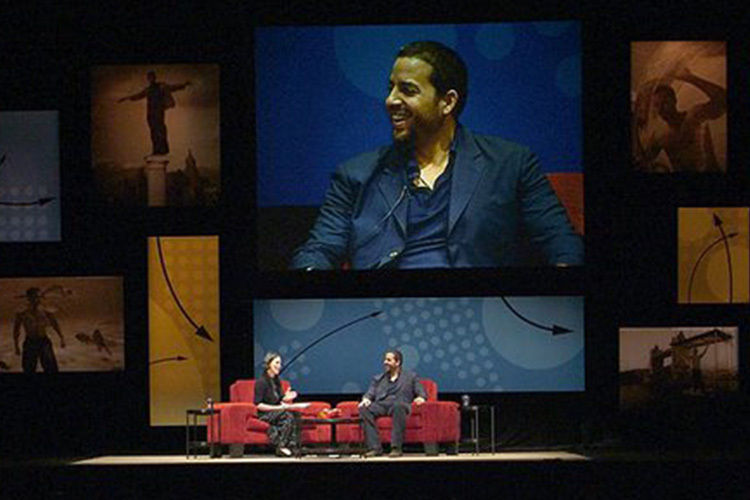 The line between presentation and production is not as defined as it was years ago. 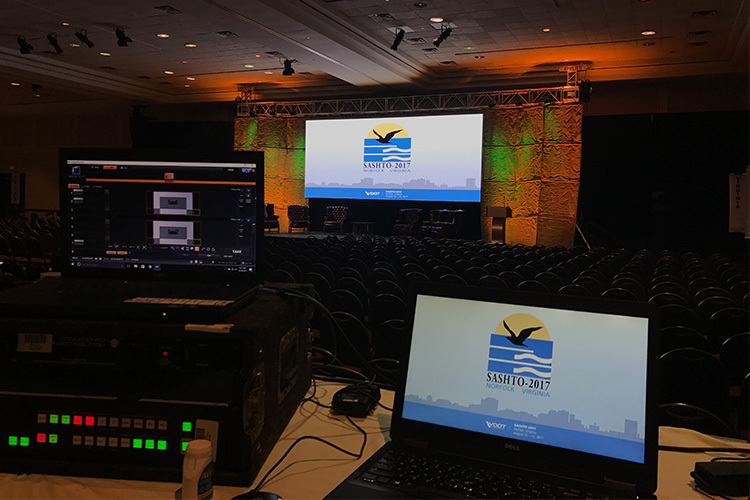 BVC is committed to helping its customers make the transition from production to presentation by providing services that go well beyond standard audio-visual options. 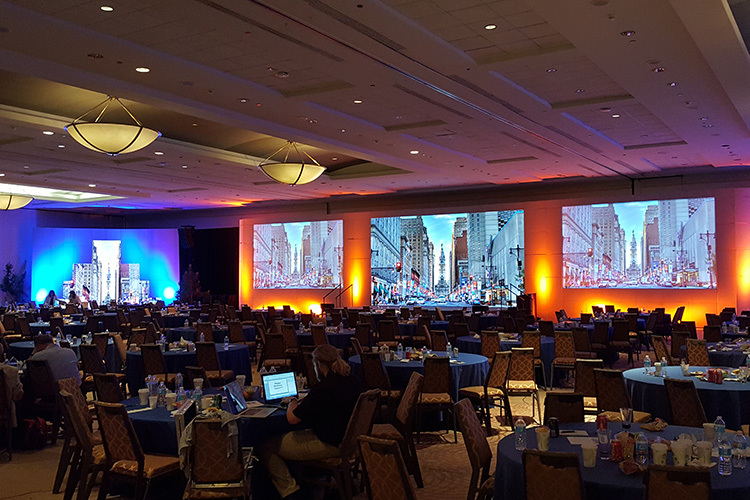 When working with our customers, we help them build their event from the ground up, making sure that they have unlimited access to the expertise and technology at BVC. 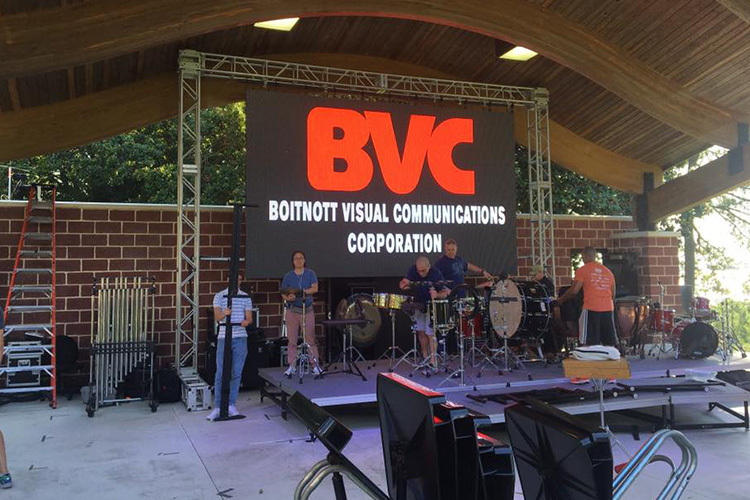 BVC offers turnkey event production, ranging from concept design to the staging and operation of your event. 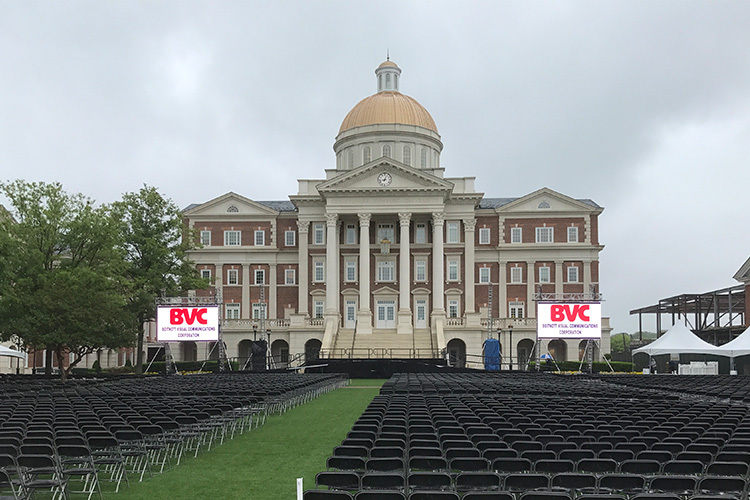 BVC designers and technicians have years of experience working with its customers to develop spectacular presentations that work within their budget and exceeds their expectations. Our number one goal is to provide our customers with “peace of mind”. 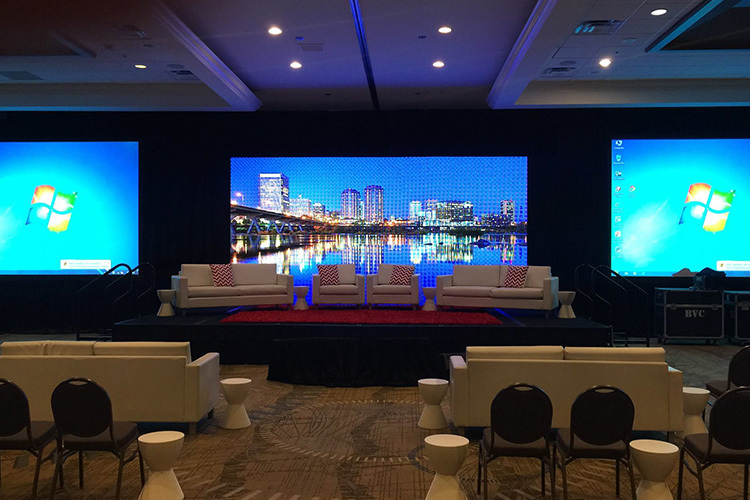 Simply put, we combine a knowledgeable staff with “cutting edge” technology to ensure that your event is both impressive and cost effective. 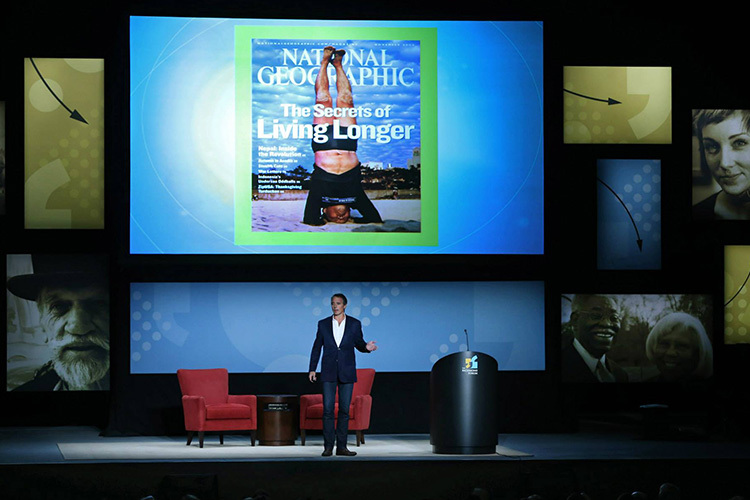 Planning a live corporate event or meeting? BVC designers will work with you to produce a set design that is aesthetically pleasing while staying true to your vision. 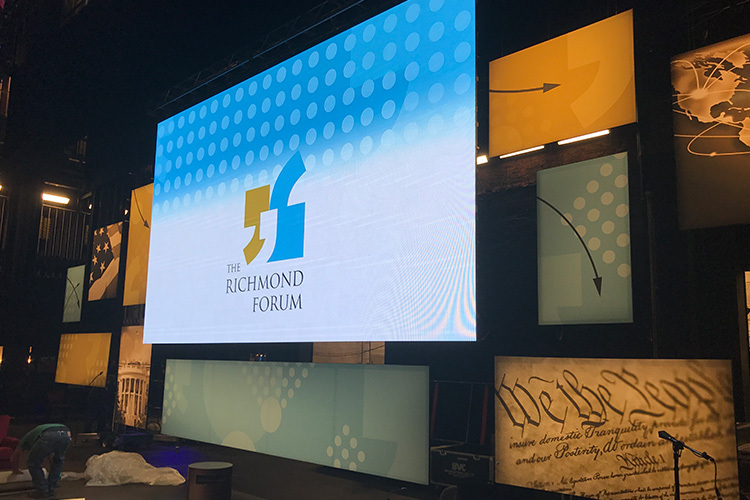 Our designers have a wide range of scenic elements to offer including modular sets, velour drapery in a variety of colors, accent lighting, and chrome truss frames. For a more personal touch, custom elements may be fabricated to match branded material or logos. Our inventory is filled with equipment designed to fit your needs. 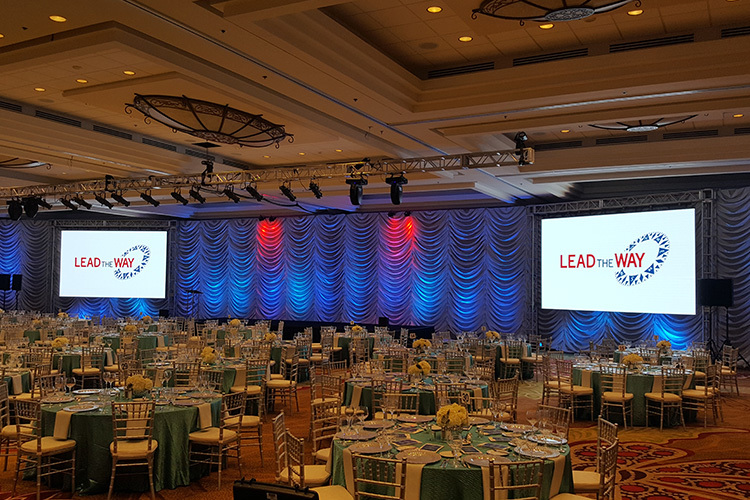 Whether your event is in a conference room, hotel ballroom or arena, our staff will analyze your event requirements to develop an equipment list that is specifically tailored to meet your needs. Every element of your production will be evaluated and an appropriate equipment solution will be proposed. Once an equipment list is established, you will be provided with a detailed proposal including a contingency plan for critical components. 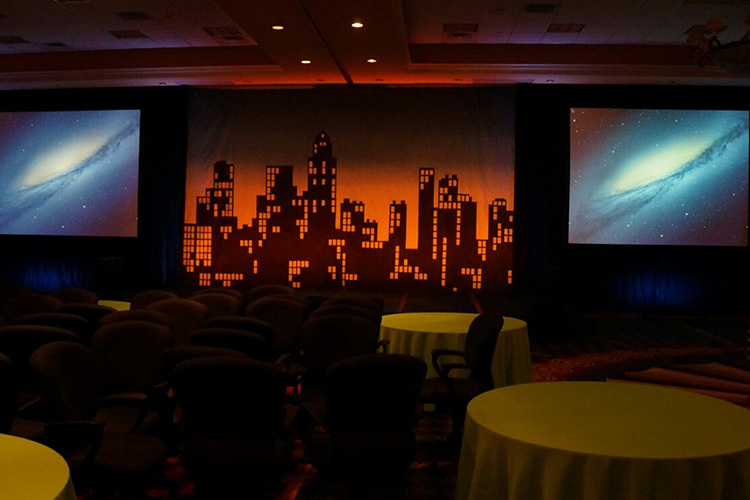 We specialize in large venue video projection, audio systems and theatrical lighting. We also carry a wide variety of equipment designed for small venue applications. BVC recognizes that every event, large or small, must include exceptional customer service as well as constant attention to detail. 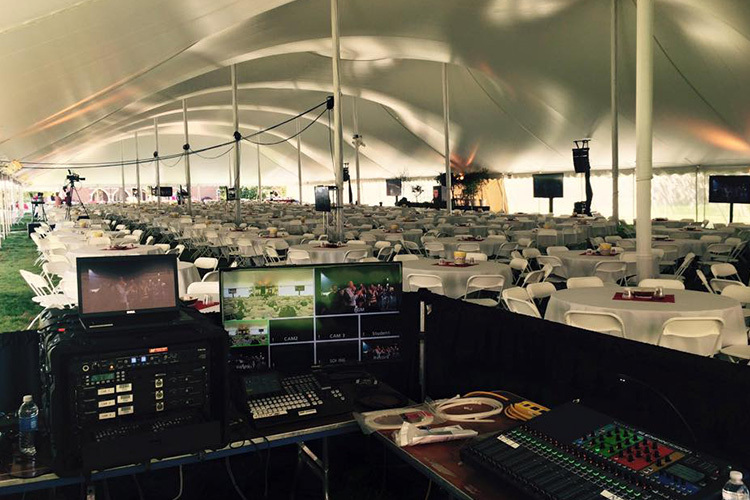 BVC technicians have years of experience working in live event production, specializing in large venue events. 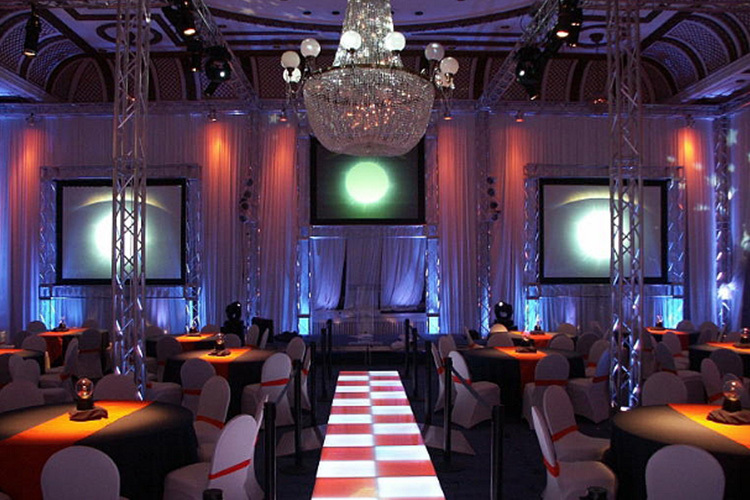 Our team of audio, video, and lighting specialists is available to setup and operate equipment for your special event. 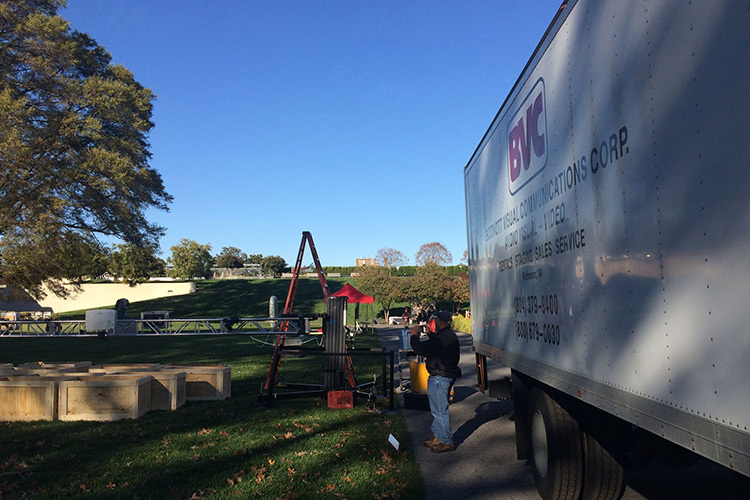 When our technicians arrive on site, you will be greeted by a courteous and professional staff that is ready to get your event up and running. 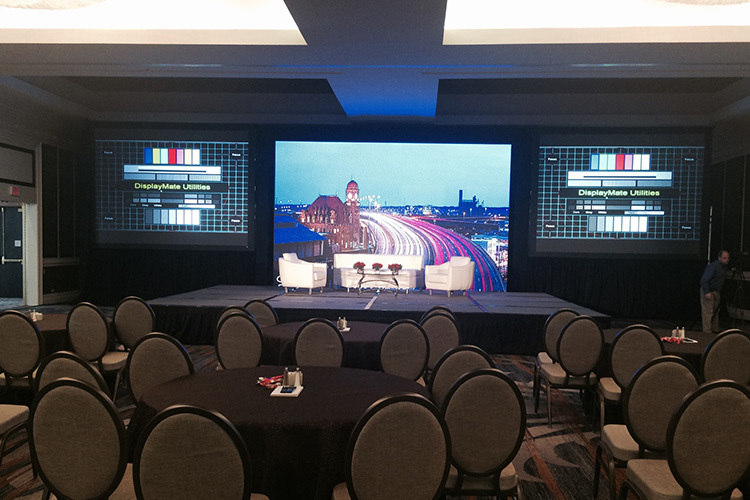 Once the equipment is set, our technicians will be ready to test media and walk through the flow of the event. 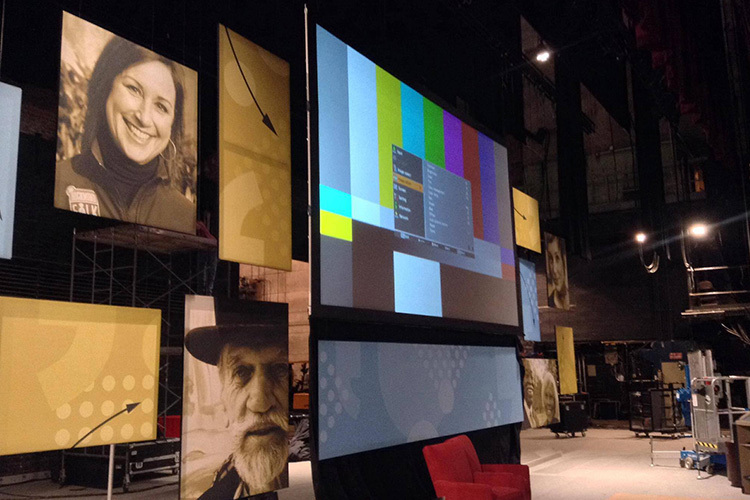 For complex shows, production managers are available to assist in coordinating transitions and cues. 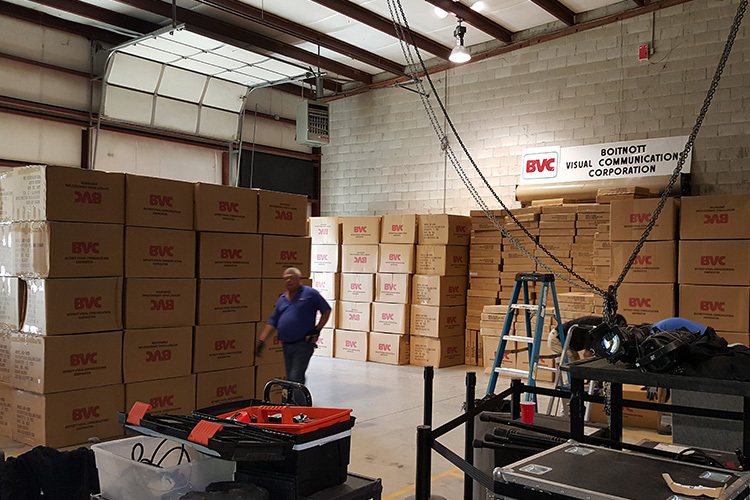 From start to finish, BVC will make sure that all the décor and technical aspects are handled for you. 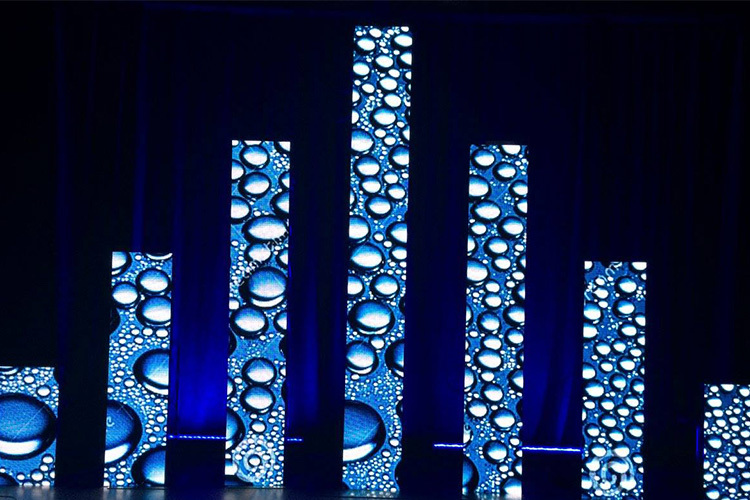 Boitnott Visual Communications is your one-stop-shop for audio visual, furniture and decor. If you're planning an event, use our request a quote or contact form to get in touch! We are looking forward to working with you.